There are so many great things to do in San Diego it’s hard to list them. After a series of debates between the Kaplan team, here are our top 8 things to do in San Diego. 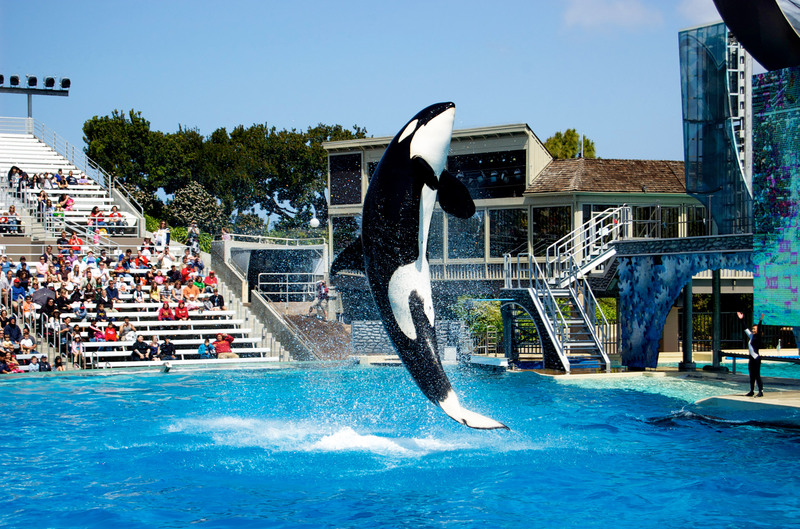 Home to San Diego’s killer whale Shamu, it’s no wonder that Sea World is one of San Diego’s most popular attractions. With her impressive twists and back flips, crowds flock from all over to watch her regular live shows, soaking those who are brave enough to sit in the front rows. In addition to Shamu’s live shows, other attractions offer visitors the chance to visit both the Penguin and Shark Encounter, and the Wild Arctic Encounter, where visitors can swim with dolphins, feed sea lions or learn how to communicate with beluga whales. If that’s not enough to persuade you, there’s even a Sea Turtle Bay which features a 300,000 gallon aquarium where visitors can view green and hawksbill sea turtles. Frequently voted as one of the world’s best zoo’s, San Diego Zoo is a must visit. Home to 4,000 animals and housing the largest population of giant pandas in the US, the zoo is very popular amongst tourists and locals alike. Aside from its vast selection of animals, visitors can also take a guided bus tour, ride the sky tram, feed giraffes, and visit the polar bear plunge, where visitors can come face to face with polar bears. Furthermore, visitors even have the option to visit the Wild Animal Park, where over 3,000 wild animals such as lions, elephants and white rhinos roam free across a 2,000 acre nature reserve. 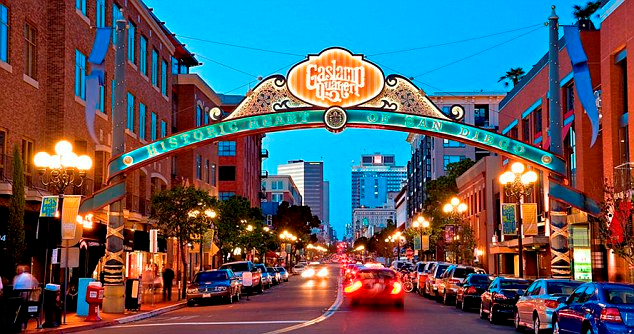 Previously known as San Diego’s red light district and notorious for its crime and gambling, the Gas Lamp Quarter has made a huge transformation in recent years, and is now known as San Diego’s entertainment hub. Featuring a great selection of nightclubs, bars, restaurants, theatres, shops and art galleries, it’s the perfect place for shopping and dining. While visiting the area visitors also have the opportunity to learn about the Quarter’s past through guided tours, which reveal all the secrets that took place when the buildings were previously used as gambling halls and brothels. Located on the waterfront, San Diego’s Seaport Village is a beautiful place to spend a sunny afternoon. With a mix of boutiques, bars and restaurants, the village is a popular destination with locals for shopping and dining, and is often described as a mix between an outdoor mall and wine festival. Aside from its selection of shops and restaurants, the village often features outdoor performers who take to the stage regularly in the afternoons, creating an electric and enjoyable atmosphere that’s perfect for families. With its harbour side location and street entertainment, seaport village is a wonderful attraction to enjoy on a summers day. Based across a 1400 acre site with historical buildings, gardens and numerous museums is San Diego’s infamous Balboa Park. 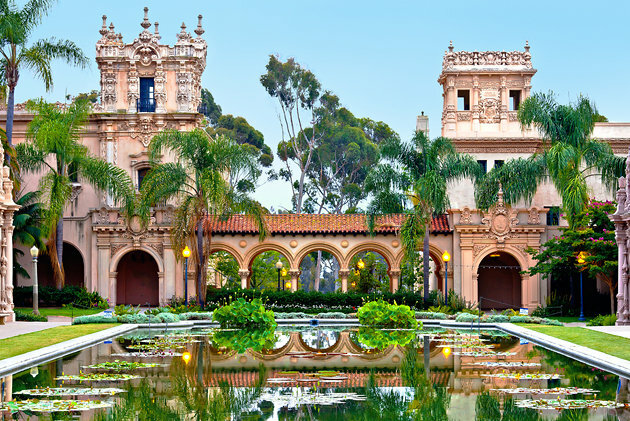 Built in 1915, the park features beautiful botanical gardens, a lily pond, the San Diego Museum of Art, the Museum of Natural History, and the infamous San Diego Zoo. Even if you don’t go into any of the buildings or museums, the park is worth a visit purely for its beautiful gardens. Referred to as ‘the jewel of San Diego’ La Jolla Shores is arguably one of San Diego’s best beach areas. With a mile long beach and beautiful coastline, the shores are perfect for swimming, surfing and kayaking. Located near to La Jolla Underwater Park, scuba divers and snorkelers have the opportunity to observe the local marine life, including dolphins and leopard sharks. With designated spots for beach fires and barbeques, the La Jolla shores offer something for everyone. 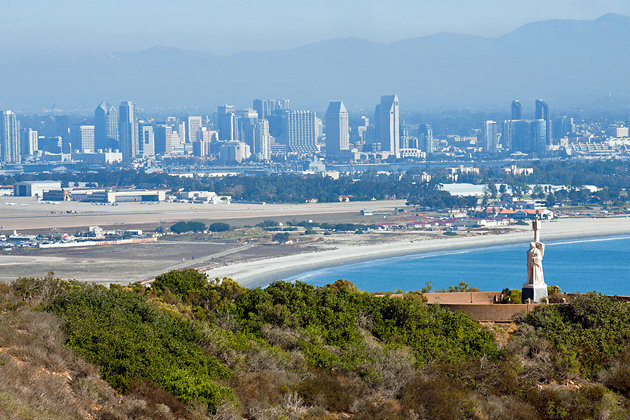 Point Loma viewpoint is a necessity for anyone visiting San Diego for the first time, offering incredible views out across San Diego and the Pacific Ocean. Aside from its great views, Point Loma is also a historical landmark, as it’s also the place where Juan Rodriguez Cabrillo first landed on the west of the United States in 1542. Juan’s journey of discovery is documented across the monument through various displays and exhibits, giving viewings both great views, and an insight into San Diego’s early history. In addition to San Diego Zoo, the San Diego Safari Park is another of San Diego’s most visited tourist attractions. The 1200 acre park is home to over 300 species of animals and endangered species, with the park focusing on breeding these animals and reintroducing them back into their wild, native habitat. One of the highlights of the park is that visitors have the option to take a tram tour of the zoo, or view it from above via a hot air balloon. Other must see attractions include the petting zoo, or the chance to watch a cheetah run at 70mph.